\V. North America from Alaska to Nicaragua. Although slow in flight, this bird is active and agile 011 the ground. 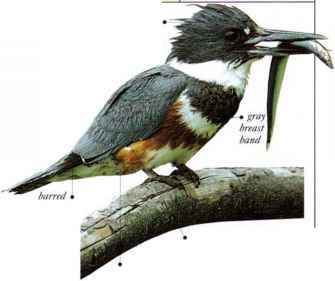 Originally a bird of dry lowland, occurring in arid scrub, forest edge, and broken woodland near water, it has spread to cultivated areas and city suburbs, lr forages in trees and on the ground or among low bushes, hopping 011 long legs and taking a wide range of food. Its diet iw nuts, seeds, and small fruits, insects and other small invertebrates, small reptiles, frogs, toads, eggs, nestlings, and mice. Noisy and excitable. 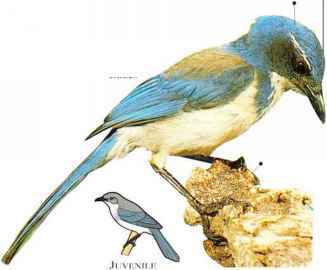 Scrub Jays often gang together to drive off predators. • REMARK The Florida Scrub Jay. 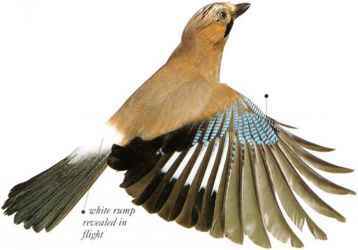 one of a number of jays that nest communally, often with related birds assisting the breeding pair, is a separate species.